This article is about the Marian hymn. For the Marian title, see Queen of Heaven. 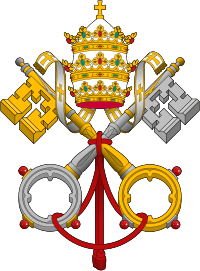 For the prison in Rome, see Regina Coeli (prison). For the church in Mexico City, see Regina Coeli Church and Convent. The Regina Cæli or Regina Cœli ("Queen of Heaven", pronounced [reˈdʒina ˈtʃeli] in ecclesiastical Latin) is an ancient Latin Marian Hymn of the Christian Church. It was one of the four seasonal Marian antiphons of the Blessed Virgin Mary, prescribed to be sung or recited in the Liturgy of the Hours at the conclusion of the last of the hours to be prayed in common that day, typically night prayer (Compline or Vespers). Any one of these four or of other suitable antiphons may now be sung at any time of the liturgical year. The Regina Coeli is sung or recited in place of the Angelus during the Easter season, from Holy Saturday through Pentecost. As with many Roman Catholic prayers, it takes its name from its incipit or first word(s). The Latin word coelum, meaning "heaven" (whence the English word celestial), was a common medieval and early modern spelling of caelum, which was the only form in Classical Latin. In medieval Latin, ae and oe were both pronounced [eː]; the form was also influenced by an extremely dubious etymology from Greek koilos, "hollow". While the authorship of the Regina Caeli is unknown, the hymn has been traced back to the 12th century. It was in Franciscan use, after Compline, in the first half of the following century. According to Catholic Tradition St Gregory the Great heard angels chanting the first three lines one Easter morning in Rome, while following barefoot in a great religious procession of the icon of the Virgin painted by Luke the Evangelist. He was thereupon inspired to add the fourth line. There are plainsong melodies (a simple and an ornate form) associated with Regina Caeli, the official or "typical" melody being found in the Vatican Antiphonary, 1911, p. 126. 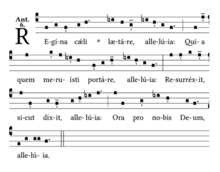 The antiphonal strophes of Regina Caeli were often set by polyphonic composers of the 16th century. Lully's motet "Regina coeli, laetare" was written in 1684. There are three settings by the young Mozart (K.108, K.127, and K.276), and one by Brahms (Op. 37 #3). 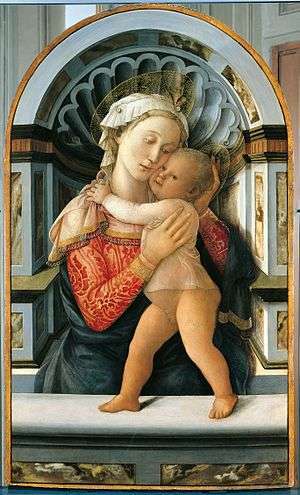 The Marian anthems run the gamut of mediaeval literary styles, from the classical hexameters of the Alma Redemptoris Mater through the richly-rhymed accentual rhythm and regular strophes of the Ave Regina Caelorum, the irregular syntonic strophe of the Regina Caeli, to the sonorous prose rhythms with rhyming closes of the Salve Regina. "In the 16th century, the antiphons of our Lady were employed to replace the little office at all the hours." (Baudot, The Roman Breviary, 1909, p. 71). In Anglican churches, the alternate translation (see below) is in 7.7.7.7 metre, and is usually sung to the hymn tune known as Easter Hymn, "Christ the Lord is Risen Today" or the hymn tune "Ave Virgo Virginum". Per eundem Christum Dominum nostrum. R. Amen. Joy to thee, O Queen of Heaven. Alleluia! He whom Thou wast meet to bear. Alleluia! As He promised hath arisen. Alleluia! Pour for us to God thy prayer. Alleluia! ↑ "Regina Coeli". The Marian Library/International Marian Research Institute. 27 Feb 2013. Retrieved 24 April 2013. This article incorporates text from a publication now in the public domain: Herbermann, Charles, ed. (1913). "Regina Coeli (Queen of Heaven)". Catholic Encyclopedia. New York: Robert Appleton. 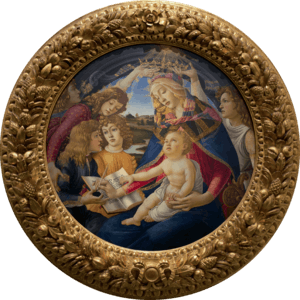 Wikimedia Commons has media related to Regina Coeli.